Are you thinking of starting a travel agency? Then you have come to the right place. There are plenty of opportunities in the market for someone who is passionate about making travel available to the masses. Online travel agencies are simple to get started on. The setup cost is relatively low too. Meanwhile, you will need to put in efforts and find the right niche to be successful in this competitive market. The benefit of starting an online business is that you get to run it from your own home, within your comfort zone. You don’t need any special expertise or experience in the field to start. It’s also a good way to make some passive income; the advantages are endless. Ready To Start Your Travel Agency? Starting a new business, especially one with so many choices can be overwhelming. If you are setting up an online travel agency, here are a few steps I think will help you feel confident enough to start. The most important thing when starting an online travel agency is selecting your niche. The travel industry is vast with plenty of attractive options and having a clearly defined niche will help you stand out. A niche will help you narrow down to what market you want to cater to. To pick a niche you need to identify the current market needs, some unexplored area of travel that the people are looking for. Determine who your targeted customers will be and work towards providing them what they want. Spiritual retreats, adventure trips or culinary travel are a few examples of niches that are starting to grab the attention of consumers. This niche market segment helps you focus in a singular direction. Once you master one niche market, you can expand your locations and niche segments. Now that you have decided to start your own travel agency, it is essential to lay down a proper business plan for it. Online travel agencies can be a home-based business for upcoming travel agents. Thus, they are fairly inexpensive to set-up. Your plan would depend on whether you want to work for another host agency or independently. Once you’ve selected your niche, scope the competition in the market for it. Do you think you can survive in this competition? Map your plans according to that, find out what it will take to succeed in this type of market. Planning your business beforehand will help you realize your goals and ensure that you have a clear objective moving forward. As you know the competition in the travel market is pretty high. Travel agencies are doing their best to outdo each other by offering something new to attract consumers. To be able to compete shoulder to shoulder with the other travel agencies you need to able to stand out too. To succeed in this environment it is necessary to gauge your competition. Do your research and find out if there are any other travel agencies in the market selling services similar to yours. See what they are up to, the strategies they use, how they are dealing with competition. Not only will this help you keep up with the competition, but it will also give you an upper hand while doing business. As I have mentioned before, it is absolutely essential to stand out in the market to attract consumers to your travel agency. The travel industry is saturated; there are plenty of agencies offering the same type of services to the customers. Presenting the consumers with something exceptional will automatically increase your importance in the market. People come to travel agencies expecting to get their travel needs fulfilled. But you can provide them with additional services which will make their holiday more comfy and enjoyable. You can package different travel components into unique travel products for your customers. Create a package and try selling the hotel, flight, and activity together at a better price. This way you can give your customers a better travel experience and sell more services at one time. Customizing travel packages to create the customer’s dream package is also a good way to go. As an online travel agency, you will be selling means of travel and accommodations to your consumers. To sell this you will need to avail it first, from a supplier. These suppliers will provide you with an abundant inventory of hotels, flights, etc. Choosing a supplier compatible to your niche will be better for your travel agency. For example, if your niche is adventure travel, pick a supplier who will provide transportation to remote or small areas or over uneven terrains; and provide comfortable accommodations in such areas. After you’ve done your market research and decided your niche, it’s time to create a strong brand image. In this competitive travel industry having a good brand will help you stand out. Your website will foremost represent your brand. Ask yourself, how do you want your customers to feel when they visit your website? Use this as motivation when you create your website. Consumers can now book a trip online by themselves; this is why you need to have that ‘wow factor’ to attract customers to your travel agency. If you offer services exclusive to your agency like customizing trips for individual customers, preparing special travel packages; use that as your unique selling proposition for your travel agency. Building a memorable brand for your business will go a long way in the success of your online travel agency. Marketing is an important element to focus on when starting a travel business. In fact, you should decide your marketing strategies as soon as you start planning your business. Like all the other aspects of your business, your marketing strategy will also largely depend on your niche. Marketing has become relatively easier than before due to the extensive reach of the internet. The Internet is a very powerful marketing tool. You can use social media, blogs, search engines, and e-advertisement methods to reach out to people, let them know about your travel agency and why they should go for it. Encourage your customers to share their reviews about experiences they have had with your travel agency. This will help your potential clients understand how promising your services are. I can assure you that your hard work and efforts will definitely pay off when the customers start booking with you. 8. Check Out Our Resources Page! Need more information on travel agencies? 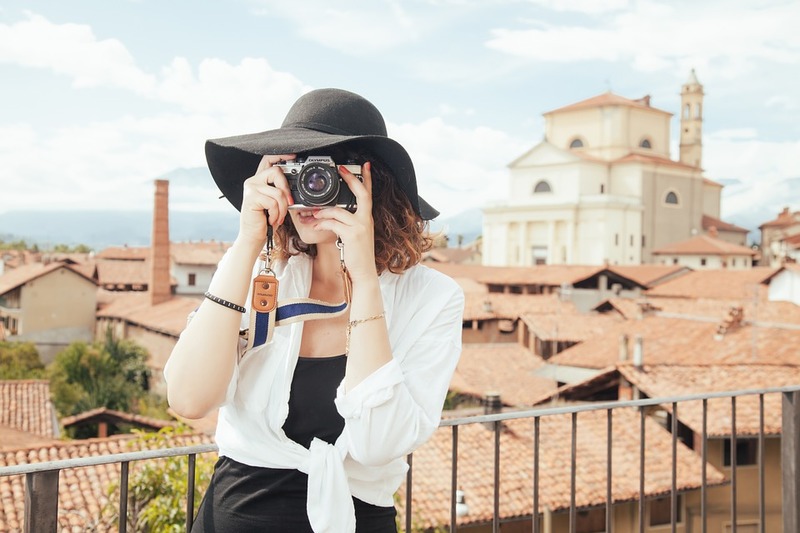 Check out our resources page to find detailed blogs on everything you need to know about starting a travel agency, becoming a travel agent or how much you can earn in the travel industry. You will find enough information to get your online travel agency started immediately! If you still have any questions, worry not. You can contact us here to help you out.